De 8 à 12 persons. 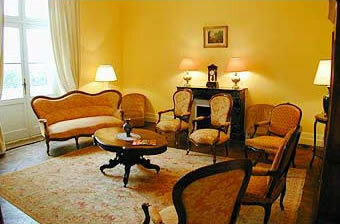 Recently restored and furnished in an attractive mixture of styles, the interior boasts spacious and very light rooms. On the ground floor are the large living and dining rooms, a large kitchen with a breakfast table, and a separate wc. On the first floor are four double bedrooms, one twin bedroom, two bathrooms and one separate wc. The lower ground floor contains a double bedroom, a shower room, and a wc and a shower. This floor opens onto the terrace and the swimming pool. Photographs of the interior which is currently being restored will be available in March.